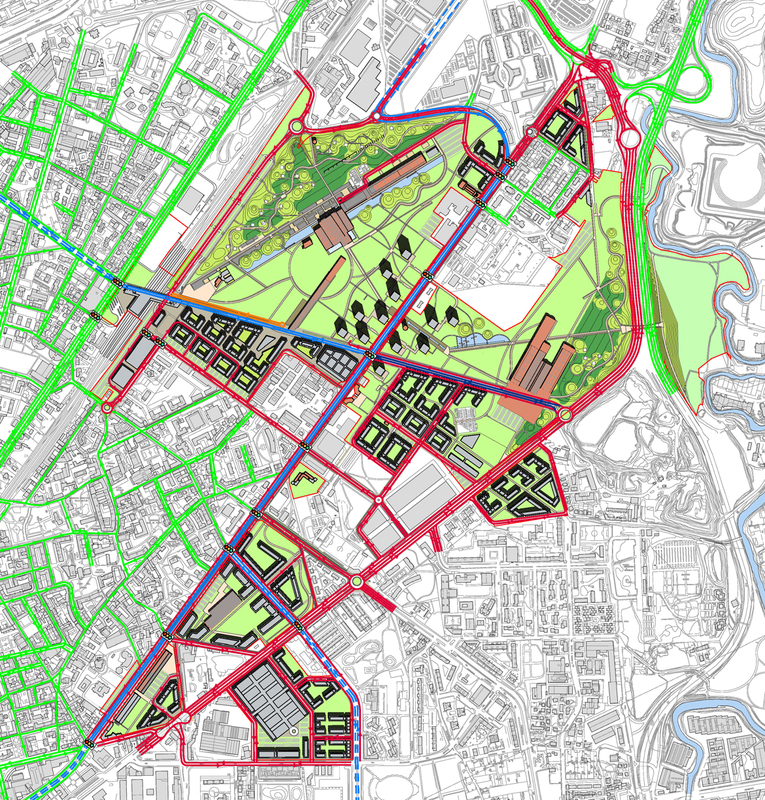 The urban requalification of the former Falck industrial area, located at the north-west edge of Milano metropolitan area, is one of the largest European regeneration process of urban brownfield areas; the regeneration project, which would have an overall development capacity of around 1 million sqm of mixed land use BUA. It represents a unique opportunity to envisage a new virtuous approach based on the integration between urban and transport planning as well as an innovative model of mobility and transport management, both capable of setting out a firm framework of sustainability, viability and vitality of the urban built environment. Systematica set out the overall transport strategy aimed at supporting both master planning and design activities with the scope of providing a mobility-integrated system, which is also viable and implementable for the sake of project as well as the city. The consultancy supported the approval of the implementation urban plan (P.I.I., i.e. Programma Integrato di Intervento) by public bodies. 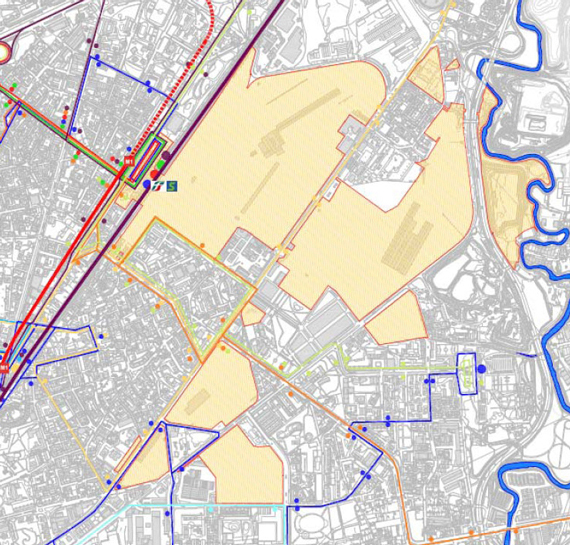 It comprised the definition of multi-modal strategies for private traffic and road infrastructure, public transport systems, public and private parking provision – around 700,000 sqm -, cycling and pedestrian network, delivery and waste management strategies. 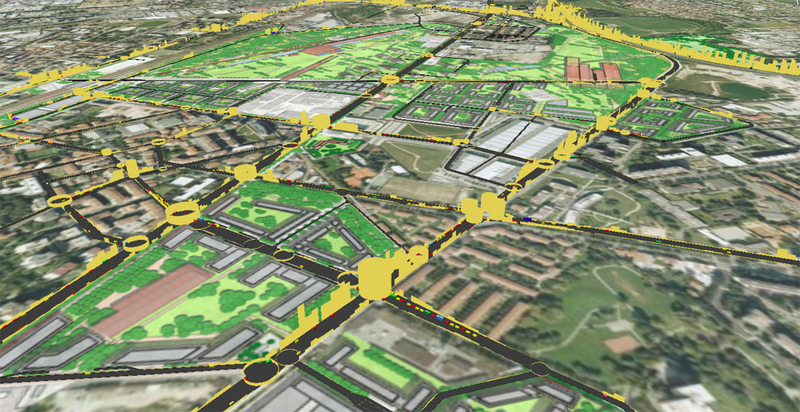 It also included the design of the road system at concept level, the assessment of the effectiveness of the road network by means of microsimulation tools and the definition of public transport accessibility levels (P.T.A.L.). Sustainability, viability and vitality of the urban built environment are achieved through complete integration between urban and transport planning.